Hoosier Hospitality in Central and Southern Indiana!!!! : First Time Homebuyer Tips - Learn from my mistakes! First Time Homebuyer Tips - Learn from my mistakes! My hubby and I bought our first house back in ..... well, a long time ago. It was before I got my real estate license. Looking back, I can't believe what we didn't know. Our First mistake (maybe) - we called the listing agent and looked at the house and wrote the offer with him. This truly can be an okay situation - but when anyone asks me, I always recommend that you have your own agent representing your interests. That's just me talking. Our Second mistake - we didn't have a home inspection (yikes). This was an older home that had been vacant for quite a while and didn't even have the utilities on. What were we thinking? Trying to save money I guess. We were REALLY lucky in that everything turned out all right and functioned properly after closing. But I do NOT recommend anyone following our example, You might think you are saving a few hundred bucks - and end up having to spend thousands on a surprise repair! a. You are about to make one of the biggest financial purchases of our life. If there is a spouse/significant other/family involved - COMMUNICATE! Write out a list of what you really need and what can be compromised. Share this list with everyone and particularly your Realtor. This can be a fluid list. b. The internet was just coming into existence when we bought our first home. You have a plethera of info at your fingertips. RESEARCH. Use your Realtor and do a little investigating yourself. Drive through neighborhoods at different times of day. Traffic, amenities, upkeep. Where are the schools, groceries? If you go to open houses, be sure to tell the host if you are already working with a Realtor. Find out about the HOA, dues, management. If you come up with several different areas - compare what you can get for your money in the different neighborhoods. Again, your Realtor can assist with these items. c. Get pre-qualified by a REPUTABLE lender. Ask your Realtor. Talk to your bank or credit union. Getting a second or third opinion is wise. This should actually be #1. Know what you can afford, Find out your options on down payments. You may need to get some advice on how to improve your credit. Be informed and to into the house hunting process with a pre-approval letter in hand. You will need this to submit any offer. d. Think ahead. Are you buying a starter home and intend on moving up in 3-5 years? Buying a fixer upper that you might fix up and sell? Will it be your home when you start a family? A small home in a trendy area might be great for a single/young couple - but if you will be starting a family soon - will you want to move to the suburbs? Will you have a house that will be easily marketable to make that move? Buying smart is thinking ahead. e. Timing is everything. Do you need to clean up some credit issues? Do you have a lease that will expire soon? Are you looking at homes that will need work before moving in? Are mom and dad about to kick you out of their basement? Again - communicate with each other and your Realtor so everyone is aware of target dates to accomplish each step. f. Homeownership costs more than the purchase price. They need to be insured, there are property taxes, utilities, lawn care and general maintenance. I recommend asking for a 1 year Home Warranty when writing an offer on a home. This can provide some comfort during that first year in case a furnace goes out, or water heater goes on the fritz. There's no more calling the landlord or mom and dad. The buck will start and stop with you. Make sure you can afford the house and the upkeep! 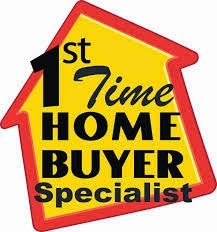 We have agents who LOVE to work with first time buyers and the educational process! Give us a try.